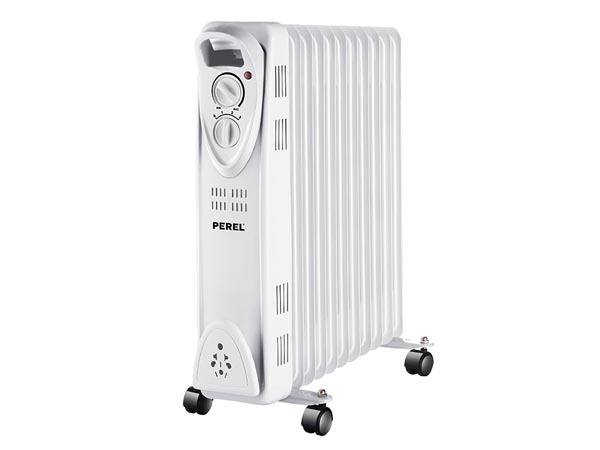 This Perel oil radiator is ideal as additional heating. 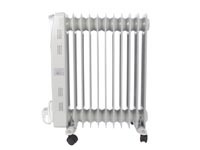 It delivers 2,500 W of heating power and is equipped with 11 elements, three heat settings and a thermostat. With this type of heating the oil in the unit is warmed up. 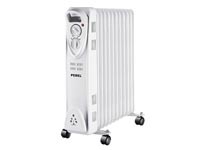 The major advantage is that the device gives off heat for a period after it is turned off. You do not need to replace the oil. Thanks to its overheating protection, the device switches itself off immediately when it gets too hot. The roll-over protection ensures that the heating switches off as soon as it falls over. 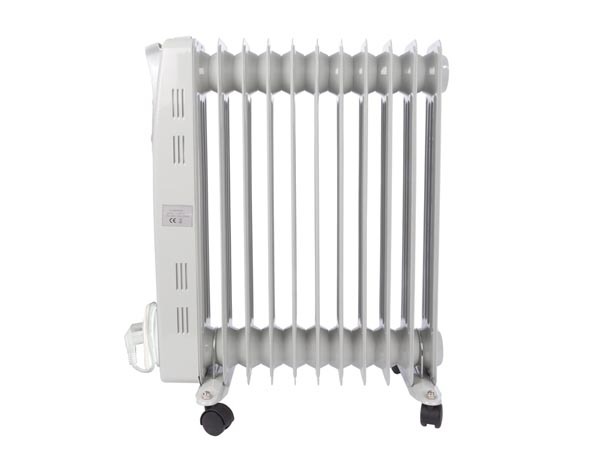 The oil radiator stands on four wheels and has a handle at the top. You can pack up the cable neatly with the cable holder. This lets you move the unit easily.